It’s the month of February and love is filling the air. Adidas wants you to celebrate the day of love with a special edition of the Stan Smith sneaker. The sneaker comes in two colorways; Cloud White and Active Red and features two different uppers on the models. 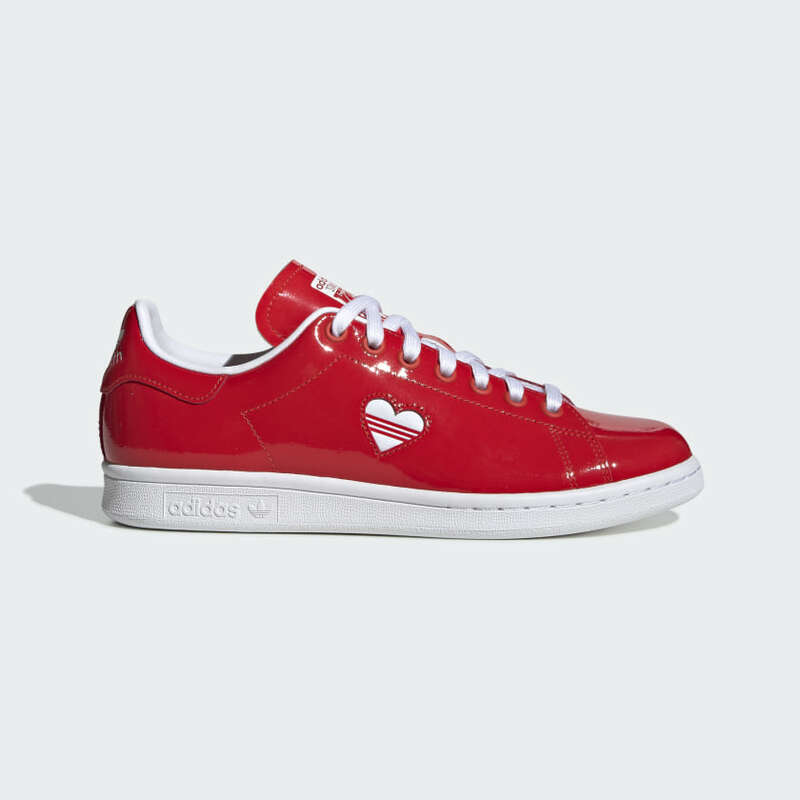 The ‘Cloud White” version features a full grain leather upper while the ‘Active Red” features a glossy patent leather. Instead of the perforated 3-Stripes we’re accustomed to seeing on this model it has a heart-shape cutout on the side with the three stripes in the middle. Both sneakers feature a white rubber outsole. If these made your heart skip a beat, you can grab them now at adidas for $100 USD. Also, we’re getting you Valentine’s Day ready with our new SneakHER Girl's Guide To: Valentine's Day too.